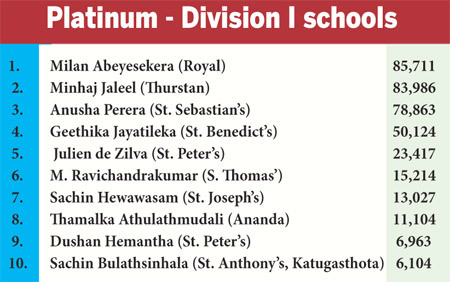 The deficit between Abeysekera and Jaleel has widened to 1,725 votes while St. John’s, Nugegoda’s Yamal Sirirwardena (67,002) was placed first, pushing last week’s winner Sakunda de Silva (66,765) of Sri Devananda, Ambalangoda to the number two position. 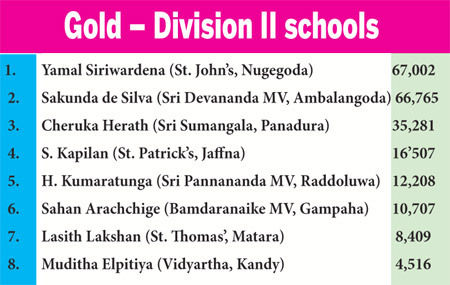 The gap between Siriwardena and de Silva is 237 votes. 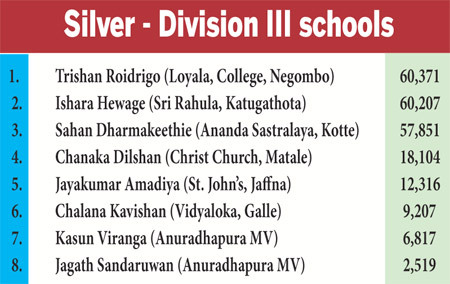 Trishan Rodrigo (60,371) of Loyala College, Negombo climbed to the top position over last week’s winner Sri Rahula, Katugastota’s Ishara Hewage (60,207) with a majority of 164 votes in the ‘Silver’ contest for schools playing in Division III. Readers please note the final voting in the contest will end on 3rd of July (Wednesday) at 12 noon.